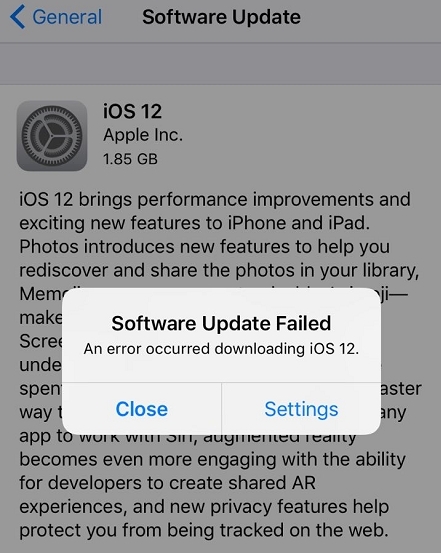 When you have moved to iOS 12 to experience the incredible features that you wanted to experience, but after that miss the old stable version. You tried to get back to the old iOS, your iPhone got stuck midway. As you are unsure of how to fix iPhone stuck on Apple logo after iOS 12 downgrade, it shouldn't give you jittery nerves. Well! Don't get alarmed as we have your back. 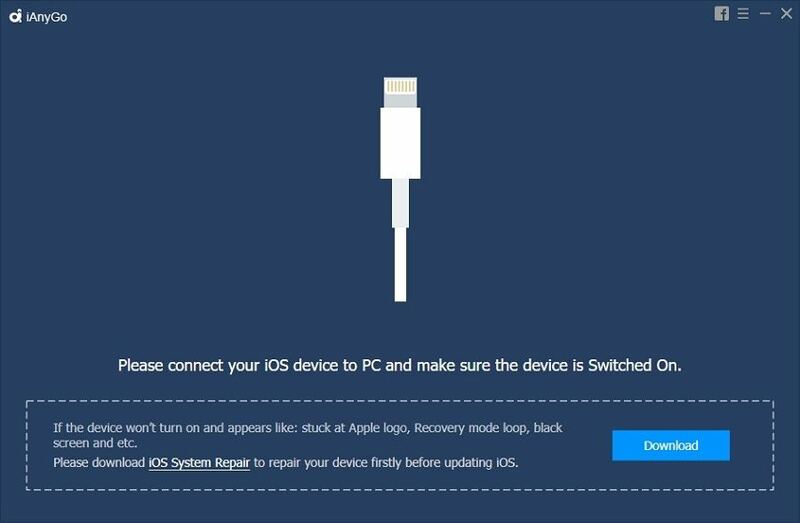 In this article, we are going to explain you how to get rid of the iOS downgrade stuck issue, when you try to switch from iOS 12 on an iPhone or iPad. This article is helpful to fix iOS downgrade stuck on Apple logo on iPhone X/8/8 Plus/7/6s/6/5s and all iPads. 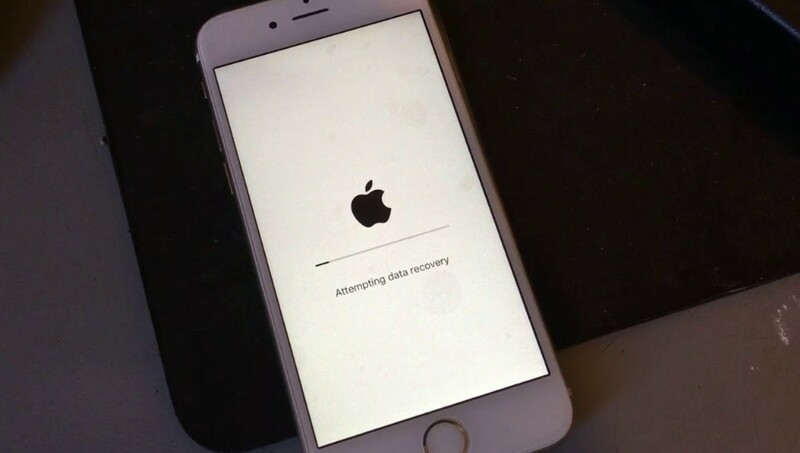 In case your iPhone is stuck on Apple logo after iOS 12.2/12.1 downgrade and you can't trust any software to help you through, you can always look for Any iOS System Repair (ReiBoot) to get out of the stuck situation. This amazing desktop program can seamlessly fix all iOS issues on all iPhone and iPads through the 'Repair Operating System' feature. You can even repair the iOS and get your device back to life. Whether your iPhone gets stuck on black screen, Apple logo, disabled screen or got frozen, Any iOS System Repair (ReiBoot) is your ultimate solution. It supports all iPad and iPhone models and runs on Windows and Mac computers. Step 1:	Download Any iOS System Repair (ReiBoot) on your system and launch it after installation. Get your iPhone connected to iPad/iPhone and from the Any iOS System Repair (ReiBoot) interface tap 'Repair Operating System' option. Step 2:	You now need to hit on the 'Start Repair' button afterwards to proceed to download the firmware package for your device. Step 3:	Next, tap 'Download' from the following screen and wait till the download gets complete. Hit on 'Start Repair' afterwards and the all your iOS related issues get resolved within a while. In this section, we would share some bonus points in this section to fix iPhone won't turn on stuck on Apple logo. You can use these extra tips to get hold of the issue. •	Press and hold 'Sleep/Wake' and 'Home' buttons together till you see the Apple logo on screen. •	Release the buttons once you see the Apple logo. •	Hold the 'Volume Down' and 'Sleep Wake' buttons together till you see the Apple logo. Lift your fingers from the screen. •	Tap the 'Volume Up' key and release quickly. Repeat the same with the 'Volume Down' key. Press the 'Sleep/Wake' button after that. Release the button right after you see the Apple logo. •	Hold down the 'Sleep/Wake' and 'Home' buttons simultaneously. •	Keep holding until the Apple logo passes by and wait till 'Connect to iTunes' isdisplayed on screen. •	Press the 'Volume Down' and 'Sleep Wake' buttons simultaneously until Apple logo shows up. After that wait till you see 'Connect to iTunes' on screen. •	Press and release 'Volume up' button followed by 'Volume Down'. Now keep holding 'Power' button until the Apple logo gets skipped and you see 'Connect to iTunes' displayed on screen. Once you get your device booted in Recovery mode, you'll get to see a message on iTunes stating "iTunes has detected an iPhone in recovery mode. You must restore this iPhone before it can be used with iTunes". Hit on the 'Restore' button and wait till the process completes. If both these methods turn futile, then you can always turn to the nearest Apple Store. Get your iPhone to the store and explain your predicament. Make sure that the iPhone is under warranty and you have the proof along with you. It is better if your device has an insurance in case there is any physical damage. Otherwise in case of any manufacturing defects, you might get the iPhone replaced as well, depending on the terms and conditions. From the above article, we conclude that iPhone stuck on Apple screen after iOS 12 downgrade issue can easily get handled with Any iOS System Repair (ReiBoot). But, apart from that if anything else can help you in this regard, it is iAnyGo. This is an amazing solution for installing and uninstalling iOS firmware on your iPhone or iPad. If you are wondering about fixing iOS 12 beta, then it can handle the downgrade or update too. You don't have to acquire an Apple developer account to experience the beta version of latest iOS. There is no data loss or iTunes intervention to get your iOS updated or downgraded using iAnyGo.